What better way to prepare for a marathon than to participate in a relay!!! Come join us for an afternoon of gaming featuring a board game relay. 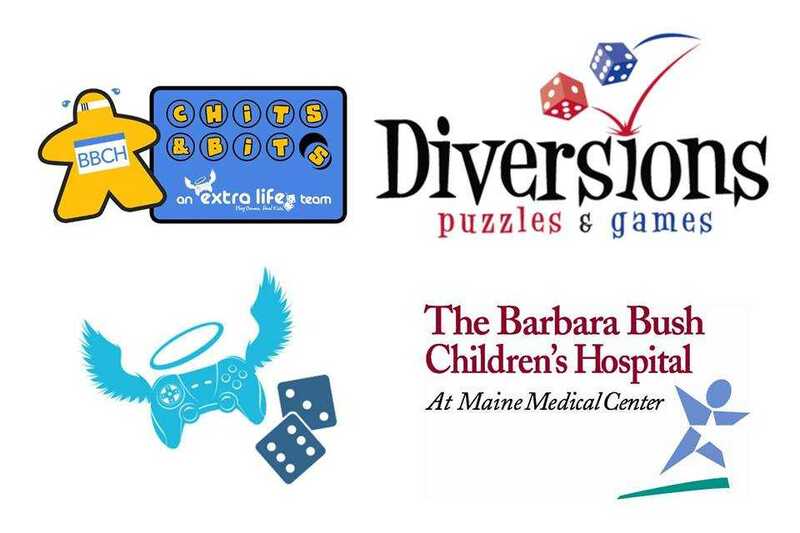 Team’s entrance fees will be donated to Extra Life in support of The Barbara Bush Children’s Hospital at Maine Medical Center. Stay tuned for more details!! One member of each team will be sitting at each game, and every 8 minutes, you will all rotate with one another. Swapping players, even in the midst of a players turn. Each table will have a completely different game being played, so each player will have to do their best to continue where the last player left off. Team price and games being played have yet to be decided, but we will announce them long before the event, so that all players can be comfortable with each one. These games will be available to learn and play anytime from our demo library.